The best ski resorts for beginners, nightlife and families! Current: Our top picks: Ski resorts for beginners, nightlife and families! Our top picks: Ski resorts for beginners, nightlife and families! With a plethora of destinations across Europe, visiting a ski resort couldn’t be easier. Each and every one of them will offer something a little different and cater to varying levels of skier, so there will be something to suit everyone. Today the Ski Club of Great Britain offers their suggestions on some of the main resorts across Europe, focusing on those that are family friendly, ski resorts for beginners and those that offer a little more nightlife. 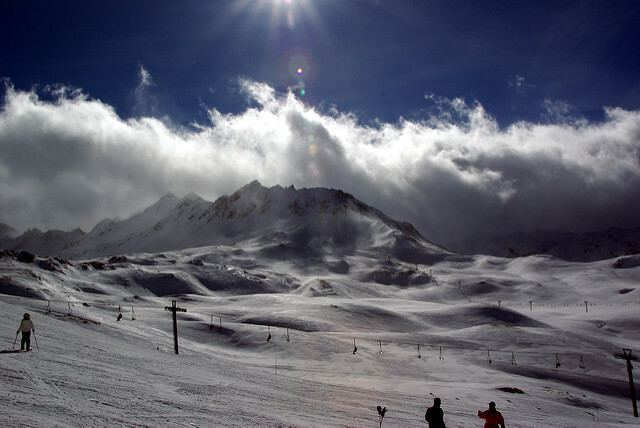 France is well known for its ski areas and the Espace Killy, formed by Tignes and Val d’Isère, is world-renowned for its range of slopes and snow reliability. It’s not surprising that it proves very popular with British skiers. Across both resorts you’ll find 154 slopes spread across 300km of pistes, with the Grand Motte glacier in Tignes and the Pissailas glacier in Val d’Isère also offering skiing during the summer time. Both areas are also known for their après bars and the famous original Folie Douce – where standing on tables in ski boots and being sprayed with champagne is a daily occurrence. The Three Valleys is yet another world famous ski area that encompasses Courchevel, Mèribel and Val Thorens, offering a whole range of skiing over 600km of pistes and lively après ski in all three resorts. However, if it’s slopes for beginners or even for the whole family you’re after, then another Austrian resort, Obergurgl, fits the bill. A chalet style village with recently improved quick lifts mean less queuing and more time skiing. The resort is well set up for families with child friendly après ski too. 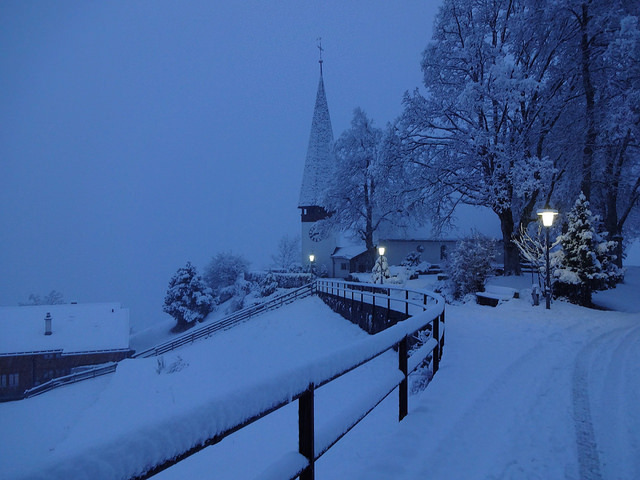 Over in Switzerland, Wengen is a traditional Swiss village with stunning scenery that offers plenty of options for beginners. Expect to find nursery slopes in the village and lots of gentle runs suited for those moving into the intermediate stages. Alpe-d’Huez in France offers a variety of terrain with lots of gentle nursery slopes and over 250km of pistes to get to grips with. The resort gets lots of sun but this does mean that come late season, the snow tends to become slushy more quickly. The Paradiski ski area in France, home to 425km of slopes and resorts such as Les Arcs and La Plagne, is popular amongst happy families. 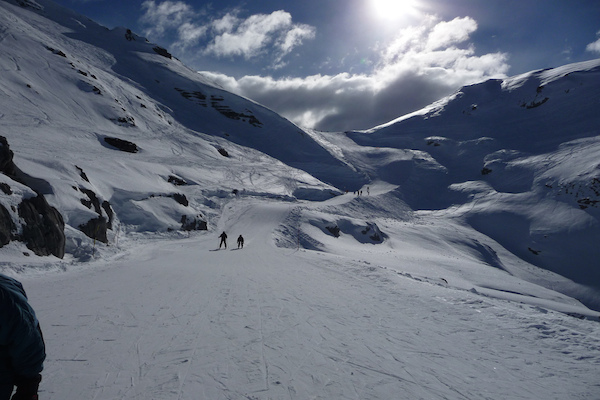 Another family friendly resort is Flaine, a modern, purpose built resort which is part of the Grand Massif ski area offering good quality, reliable snow. With 265km of pistes, it offers good areas for beginners and intermediates with more advanced territory for advanced skiers seeking a challenge. It’s impossible to forget Italy with Cortina d’Ampezzo set in the wonderful Dolomites and within reach of the Sella Ronda. The resort offers the joys of no lift queues and ideal terrain for beginners and intermediates and as an added bonus, they serve some of the best food and wine in Europe! All these resorts will offer varying prices of their lift passes, but usually for a skier under the age of 16 or over 65, the pass will be cheaper. Some will also offer free lift passes for under 5 year olds or deals for children’s lift passes and it’s also recommended that you keep an eye out for lifts that are free for beginners. It’s always worth checking on the resorts web page or at the lift pass office before you buy for any deals to save some cash! Over in Austria two resorts, St Anton and Mayrhofen, stand out for being livelier and offering more of a party atmosphere, a visit to the Krazy Kanguruh a must! Skiing wise, both offer a variety of terrain and are geared up for the more competent skier from an intermediate level upwards. To become a member of the Ski club of Great Britain and get access to information and guides to over 1000 resorts, 9 day snow forecasts and discounts on hundreds of great ski brands visit Ski Club.